If you wish your student to be allowed another attempt on a quiz, using your parent login, navigate to the course. 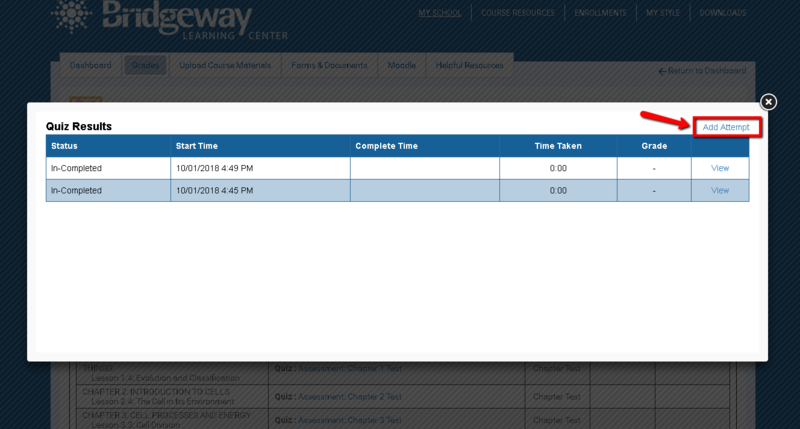 Then select View Progress next to the course title to display completed, graded items for the course. Here you will see any completed quizzes as well as the status of the quiz. Click on the hyperlinked quiz name to review the quiz attempt made by your student. Using your parent login, navigate to the course. Then select View Progress next to the course title to display completed, graded items for the course. Here you will see any completed quizzes as well as the status of the quiz. Click on the hyperlinked quiz name to review the quiz attempt made by your student. After clicking on the quiz name, the quiz review selection screen is shown with all attempts on the quiz available. 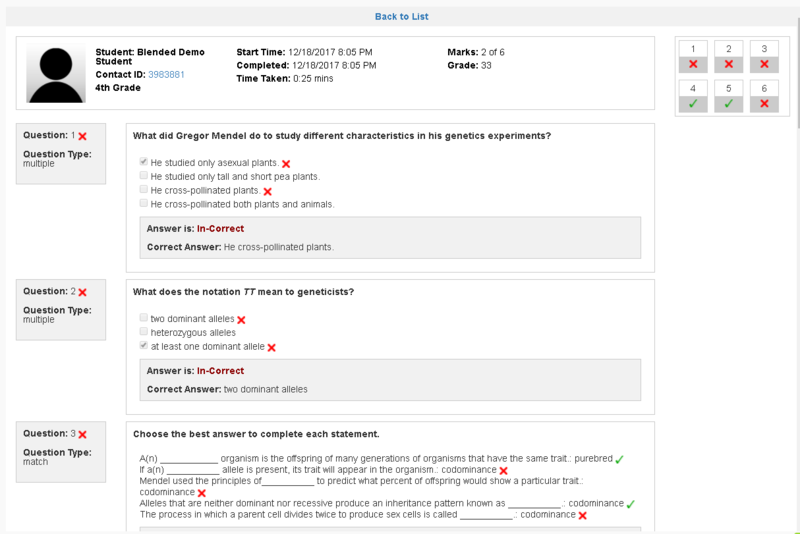 To view the detailed responses made by your student, select View next to the attempt you wish to review. From this view you can see which questions were marked correct or incorrect as well as the correct answers. You cannot change the answers or points awarded. Please communicate directly with your advisor if you find that a question is marked incorrectly.Quizzes Requiring Manual GradingIf a quiz contains an essay type question that requires manual grading, this item will appear on the Items to Grade section of your parent dashboard. This view shows items to grade for all courses your student(s) is enrolled in.